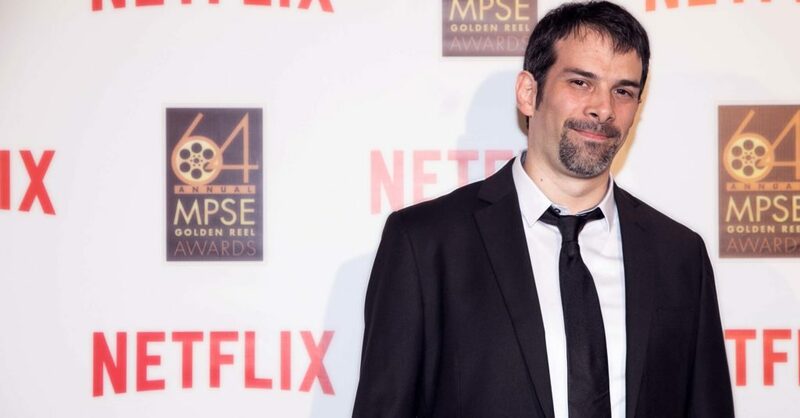 Daniele Carli is a sound designer with a large and impressive list of credits to his name, including 90 Minutes in Heaven, Swing State, The Bounce Back, Call of Duty: Infinite Warfare, Destiny 2 and many more. We had the chance to ask him a couple questions on his career so far! 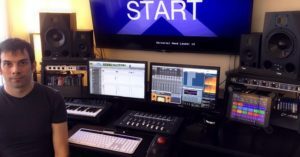 First of all, tell us a little about yourself and how you started working as a sound designer? I always had a passion for films, music and video games and these forms of art have shaped my entire life. At the early ages of my career, I worked as timpanist and percussionist in symphony orchestras in Europe, prior to entirely dedicating myself to sound design. I learnt how multiple sounds produced by musical instruments work together to create a final mix. One of my first steps towards the comprehension of the artistry behind the sound creation was when I heard Amériques by Varèse on the radio, which I performed with the RAI National Symphony Orchestra. When I listened to the final result on the radio, I discovered that all the many sounds I was hearing from my position, being in the middle of timpani, percussions, sirens, wooden whips, tambourines and the rest of the orchestra, created an incredible final result that when heard from a distance had the power of a tank shot! As a musician, I developed my sensibility in sharing my emotions, which I later discovered was a pure passion for storytelling. I was not very interested in creating compositions using musical instruments, but rather in creating a narrative through the recording and manipulation of objects and any kind of sources. From this approach, I discovered my passion for sound design. After I finished my studies in Sound Design, I recorded and edited sound for my own sound design projects mixed in surround 5.1 and other short films screened at film festivals in Italy. Later on I worked on a TV animated series produced by Gruppo Alcuni Animation and RAI Italian National Television, aired on RAI Fiction channel. Right after that, I got involved in my first feature film produced by a company based in New York City. Initially, I had been hired to provide sound design on a few scenes, but then I decided to also clean up dialogues, edit backgrounds, foley and mix. I did as much as I could for the movie and the director gave me the credit as the supervising sound editor of the show. The movie was being screened in New York and in Los Angeles at the Downtown Independent Theater, so I flew from Italy to attend the premiere in LA. That’s how it all started. It was a pleasure for me to have a project hit a theater in Los Angeles, before moving my career there. You are originally from Italy, what made you make the move to Los Angeles? As an Italian, the beauty of the European culture is a part of myself, but my growth has always been influenced so heavily by American films, music and video games. I always recognized the energy behind such forms of art and I knew that being part of it was in my career path. Relocating my life to LA was a natural move for me and an exiting idea. I knew that Los Angeles was the right city where my determination, artistry and dedication would be extremely rewarded. It is a city where expanding my connections, expertise and, in particular, my vision about sound design would be possible. I found the work environment was so dynamic and populated by talented artists to work with. After few trips, I was called by a sound post production company in Los Angeles and I started working as a sound designer in their team. You have had the opportunity to work on a lot of great video games and movies, was there one project that you enjoyed working on over all the others? If so, why? One of my favorite projects for sure is the feature film “90 Minutes in Heaven”, based on the New York Time’s Best-selling book written by Don Piper, who shared his life experiences in the book. The film, directed by Michael Polish, has been distributed in US, Canada and Europe by Universal Studios Home Entertainment. In that movie I had the ambitious task of creating a sonic vision of the Heaven, focusing on the shimmer of heavenly light, holy and calm winds, as well as the motion of the actor’s soul through dimensions. The sound of the massive wings of the actor flying through that paradise and arriving in front of the Gate, was an extension of the screen that reached out into the audience in a stereo panorama. I think that film was my very first challenge as a sound designer and storyteller. How do you typically get involved in the projects you have worked on? I collaborate with sound post production studios in town and they call me to work on films produced by their clients. I also get in touch directly with directors that have a need for full sound service. In order to start working with video game companies, I had to provide a showreel and go through the interview process. Your portfolio says that you are working on Destiny 2 as a sound designer: cinematics. Can you explain what your responsibilities are as a sound designer: cinematics? 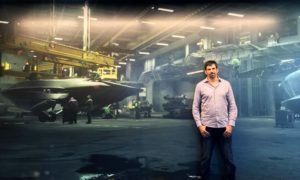 As a sound designer for cinematics in Destiny 2, my responsibilities are to provide sound for all the elements in the cut scenes assigned to me: any flying vehicles, characters, backgrounds, weapons, gears, and footsteps. The most important factor is to provide detail and articulation to characterize each element of the scene in a unique way that fits the setting and the scenario of the video game. For example, creating sound for a variety of spaceships, I have to consider their models and sizes, the speed while they lash through the air, how their engine impacts on the camera while passing very close to it, and providing the right amount of layers to give voice to the movement, twists and turns of the ship. In general, as a sound designer you have the challenge to create realistic but also really unique sound effects. It is a beautiful and totally fun experience to work on all of that. It gives me the chance to be creative on a video game like Destiny 2. What is the process for working on the sound design of movies? Do you get the movie a scene at a time to work on? Or do you only start working on it after all the shooting is done and the movie is put together? Depending on the status of the project, I usually start working on the full length of the film when the visual effects are not completed yet. Sometimes I also get single scenes to work on. The best thing is getting into the project when the picture is locked or, at least, when I receive the closest version to a locked picture. Working on a locked picture would be ideal, to avoid undoing your work because of any changes. Unfortunately, during post production those changes always happen and that’s part of the job. From your portfolio, it looks like you have worked on a fair amount of horror films (The Neighbor, Restoration and Tragedy Girls to name a few). Are you a fan of working on the horror genre? I definitely love the tension and emphasis that depicts the horror genre. There are so many opportunities for a sound designer to develop ideas which can serve as a device to trigger emotions. It’s not just about smashing bones, fruits and vegetables, rather it is about grabbing some elements from the storytelling, the relationships between characters and the environment around them that makes the film. I love to highlight those elements and transform them into characters: the sound of an intermittent bulb over a rocking chair, music coming out from an old record player that becomes distorted when a shadow appears in the room, a silent and unsettling ambience that eventually prepares the audience for an unexpected sound that makes them jump out of their skin. These are just a few elements that a sound designer can have fun with and involve his creativity. Have you used any Sound Ideas sound effects or music during you career? If yes, which ones? Do you have a favourite collection that you find yourself constantly reaching for during your work? Yes, my favorite collection is the Foley Footsteps Sound Effects Library. I found it great and very helpful on a variety of projects. It helped me every time I was looking for different types of shoes, walking speeds and surfaces. I appreciated the quality of the recordings, the cleanliness and dynamic range that they have, as well as the amount of takes of each performance. The collection allowed me to have a great level of flexibility during my work. I find myself in a constant need to improve my knowledge, expanding my abilities to conceive and perceive the final product. I have had to do navigate this path sometimes without a guide or a mentor, but instead just spending many hours reading and studying the work of others: how they did certain things, how they created and conceived their sound design. If you think you have reached a good level of knowledge, there’s always another step forward. So that’s the biggest challenge I’m still experiencing. I’m currently working on the feature film “Headlock”, a thriller written and directed by Mark Polish, starring Andy Garcia and Justin Bartha. It’s one of the most ambitious projects for sound design I’ve ever worked on. It requires a combination of editing and creative skills to properly envision the right sound for the entire film. I’m researching a lot on how to develop all the peculiar sounds that the film requires on every scene and I’m gathering many resources to depict a movie that is pushing me to find new approaches to sound design. And finally, what would be your best advice to those trying to get into the sound design business? My best advice is to get in touch with professionals in the industry and get yourself involved in a project. Look on the internet and search for any job opportunities that may fit your level of experience. There are many websites that allow you to connect with directors and film productions. Even if their projects are low-mid level of quality, go for them, that’s a start. Build some good relationships, find a studio or be available to move to a location where there are more work opportunities. Believe in yourself, don’t postpone important steps now that you may transform into a resentment in the future. If you really want something, just take it. If you go for it, you’ll get it. The only limits that you may experience, are in yourself. Sound Ideas would like to thank Daniele Carli for taking the time to answer our questions for this interview!